Welcome to our new Giveaways Page. Enter for a chance to win prepaid cell phone stuff either from this site or other sites. 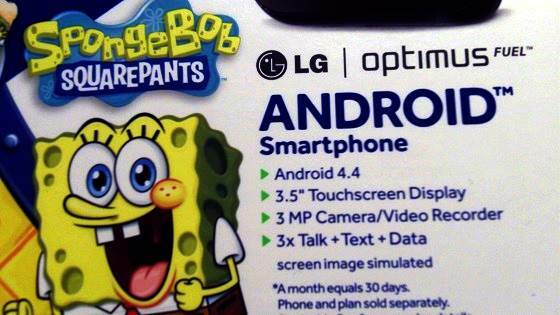 Enter the Giveaway for a Tracfone LG Optimus Fuel - SpongeBob Squarepants Edition which features special download, a set of earbuds and a case. This is an Android Tracfone. Congratulations to Samantha T. on winning! Tracfone Samsung S390G phone with QWERTY keyboard and WiFi access. Contest is over. Congratulations to the winner. This contest is over. Congratulations to the winner. Enter for a chance to win a new NET10 Motorola EM326g prepaid cell phone with 1.3 megapixel camera an MP3 music player. This phone gives you 300 free minutes upon activation on the NET10 Pay as You Go plan! Note, current phones from NET10's website no longer offer 300 minutes upon activation, but I found one that still does! 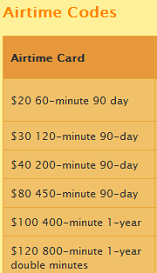 To receive the free minutes as well, you must activate it on the Pay as You Go plan and NOT one of the monthly plans. After you have used the free airtime, you can choose to switch to a monthly plan. You can enter the contest by logging in via Facebook or by email. There a few tasks listed once you log in. Completing these tasks earns you additional entries. We moderate these. If we find that tasks were not completed as claimed, we may deactivate the entries and remove the contestant from the giveaway. Use Tracfone Promo Codes to save money and get minutes. Where to get a free prepaid cellphone with purchase of airtime.